Calgary, Alta. 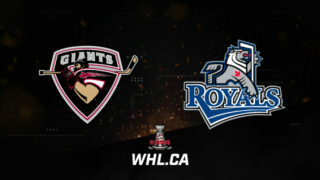 – The Western Hockey League, in partnership with BC Hockey, Hockey Alberta, Saskatchewan Hockey Association, Hockey Manitoba and Hockey Canada, announced today team rosters for the freshly rebranded 2017 WHL Cup, which will begin Wednesday, October 18, at the Markin MacPhail Centre in Calgary, Alta. 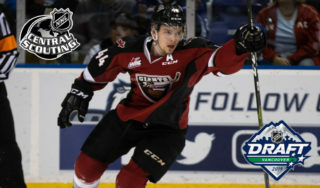 Of the 80 players selected, five are prospects from the Vancouver Giants! The WHL Cup, formerly known as the Western Canada U16 Challenge Cup, features the highest-rated players in the under-16 age category from the provinces of Alberta, British Columbia, Manitoba and Saskatchewan. The tournament will take place from Wednesday, October 18 through Sunday, October 22. Of the 80 players scheduled to compete at the event, 72 were selected in the 2017 WHL Bantam Draft. The five-time champion Albertans once again boast a star-studded lineup that includes 11 first round selections from the 2017 WHL Bantam Draft. 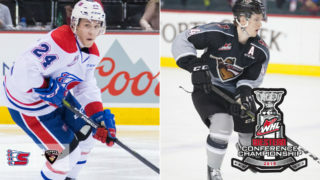 The roster includes the top two selections from the May draft, with Sherwood Park product Kaiden Guhle (first overall, Prince Albert Raiders) and Wainwright native Connor McClennon (second overall, Kootenay ICE) leading the charge. Grande Prairie native Garin Bjorklund (21st overall, Medicine Hat Tigers) was the top goaltender selected in the 2017 WHL Bantam Draft and will guard the crease for Alberta. Having last won the event in 2012, Team BC enters another strong roster, which features Surrey product Justin Sourdif (third overall, Vancouver Giants) among six first round selections from the 2017 WHL Bantam Draft. Defenceman Aiden De La Gorgendiere (fifth overall, Saskatoon Blades), a native of Langley, holds down the blueline, while Jack Finley (Kelowna / Spokane Chiefs), Ben King (Vernon / Swift Current Broncos), Tyson Phare (Maple Ridge / Prince George Cougars) and Payton Mount (Victoria / Seattle Thunderbirds) join Sourdif up front. Coming off a bronze-medal effort last year, Team Manitoba remains in search of its first tournament title. 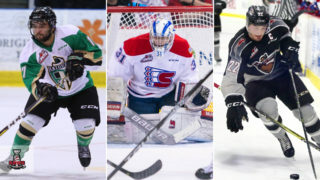 First-rounders Seth Jarvis (Winnipeg / Portland Winterhawks) and Daemon Hunt (Brandon / Moose Jaw Warriors) will lead the way, with Prince Albert Raiders prospects Jakob Brook (Roblin) and Evan Herman (The Pas) providing additional depth at forward. After falling in the bronze medal game last year, Team Saskatchewan will look to rebound in 2017 as it also seeks out its first title. 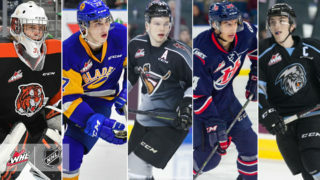 Tri-City Americans prospect Kaden Kohle (Humboldt), Kamloops Blazers prospect Josh Pillar (Allan) and Calgary Hitmen prospect Ryder Korczak (Yorkton) lead a highly-talented group of Saskatchewan forwards. The tournament will be a four-team round-robin format and is the first step in Hockey Canada’s Program of Excellence for players. Further information on the event can be found at prospects.whl.ca. *Of the five Giants prospects named to their respective teams, Justin Sourdif, Tanner Brown and Krz Plummer have signed with the team. The majority of players participating in the event will have been selected in the 2017 WHL Bantam Draft or have since been listed by WHL Clubs. The WHL Cup, formerly known as the Western Canada U16 Challenge Cup, has been sponsored since 2009 by the WHL and has been made possible through financial support provided by the WHL, Hockey Manitoba, BC Hockey, Hockey Alberta, Saskatchewan Hockey Association and Hockey Canada. This year will mark the seventh year of the event. The first ever WHL Cup was held in Blackfalds, Alta., in 2009 and featured four of the top eight players selected in the 2012 NHL Draft. In 2010, the WHL Cup was not contested due to the Canada Winter Games. In 2011, the Moose Jaw Warriors and Saskatchewan Hockey Association hosted the event at Mosaic Place in Moose Jaw, Sask. In 2012, the tournament was hosted in Calgary at Father David Bauer Arena, the home of the WHL. In 2013, the tournament was again hosted in Calgary at Father David Bauer Arena. In 2014, the WHL Cup was not contested due to the Canada Winter Games. Since 2015, the WHL Cup has been hosted in Calgary at the Markin MacPhail Centre. Team Alberta is a five-time champion of the WHL Cup, hoisting the trophy in 2009, 2011, 2013, 2015 and 2016, while Team British Columbia won the event in 2012. 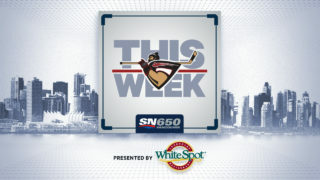 Regarded as the world’s finest development league for junior hockey players, the Western Hockey League (WHL) head office is based in Calgary, Alberta. The WHL consists of 22 member Clubs with 17 located in Western Canada and five in the U.S. Pacific Northwest. A member of the Canadian Hockey League, the WHL has been a leading supplier of talent for the National Hockey League for over 50 years. The WHL is also the leading provider of hockey scholarships with over 375 graduates each year receiving WHL Scholarships to pursue a post-secondary education of their choice. Each season, WHL players also form the nucleus of Canada’s National Junior Hockey Team.